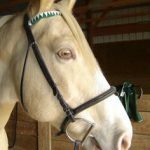 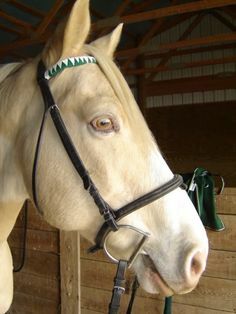 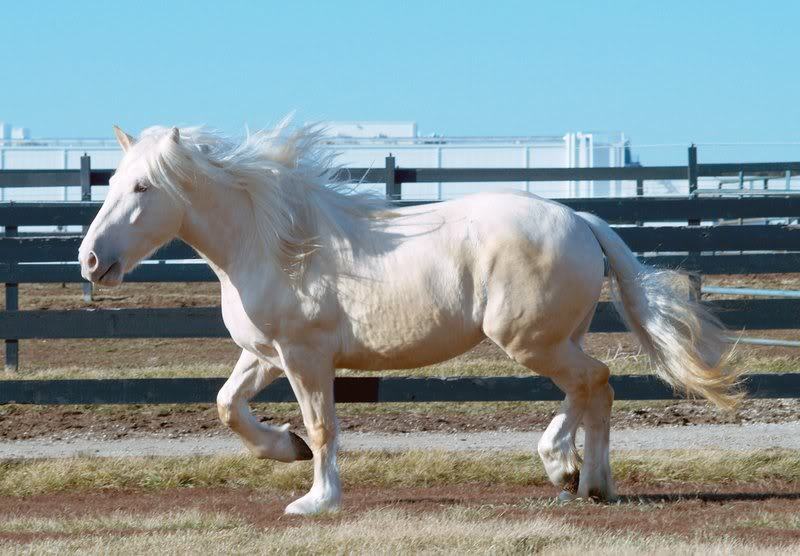 American Cream Draft, as the name implies is a breed of cream colored (commonly called “gold champagne”) horses developed in the state of Iowa. 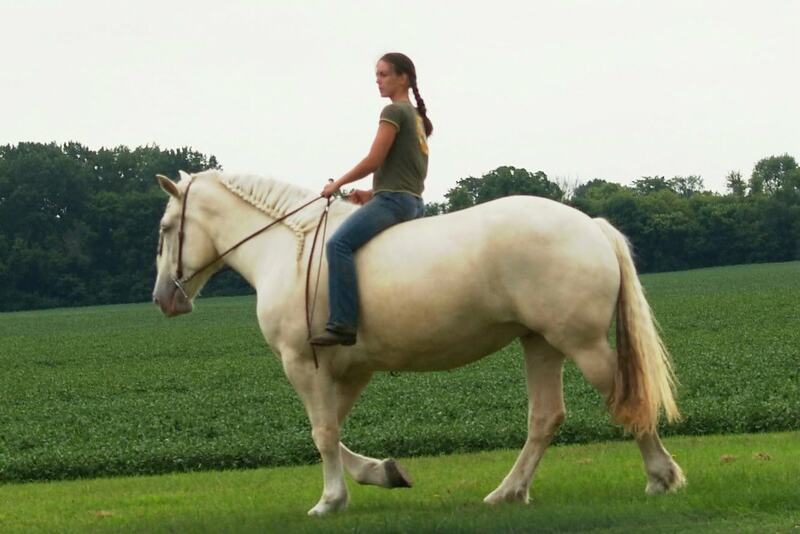 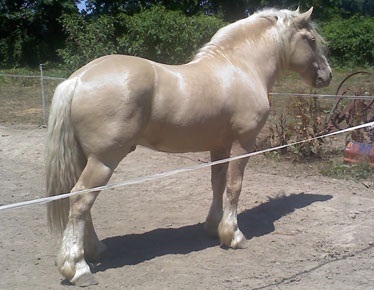 Despite being a rare breed of draft horses, it has been popularly accepted by the spectators at horse shows. 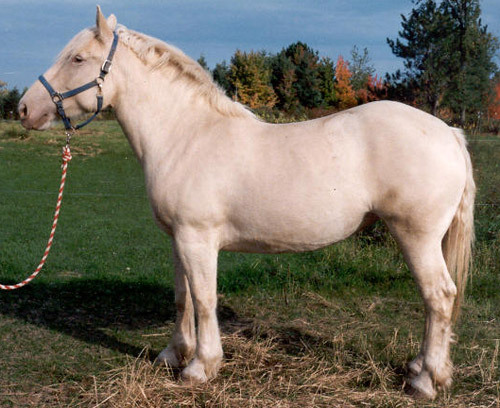 American Cream horses, the only breed of draft horses originating in the US, descended from a draft type mare “Old Granny” foaled during the early 1900s in Story County. 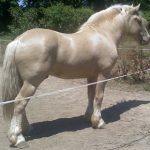 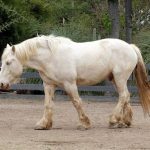 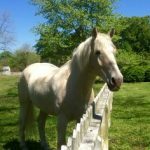 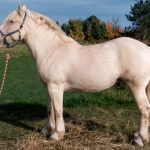 When crossed with Percheron and Belgian stallions, the foundation mare produced foals with the cream coat, pink skin, and white tail and mane. 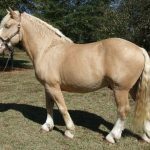 One of Old Granny’s colts named Nelson’s Buck sired a few cream-colored foals, out of which Yancy No. 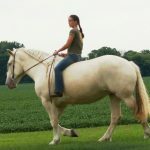 3 was registered. 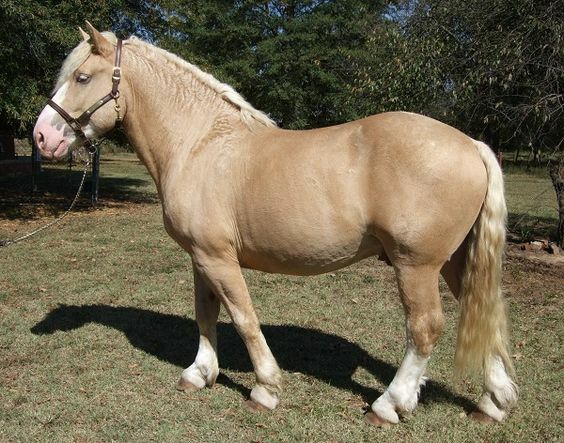 The breed registry was established in 1944 while the National Stallion Enrollment Board recommended the American Cream Drafts for recognition in 1948. 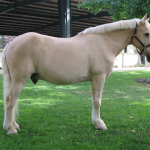 The Iowa Department of Agriculture finally acknowledged the breed in 1950. 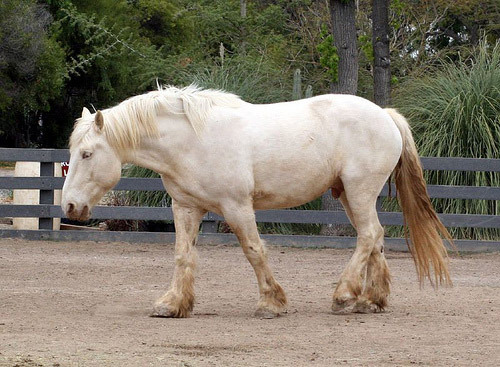 With the advent of mechanized tools in agriculture, draft animals were gradually replaced with farm tractors, causing a sharp decline in the draft horse population. 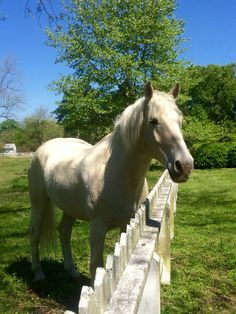 With few survivors, the American Creams were on the verge of extinction. 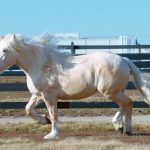 In 1982, several owners and breeders met to re-open and reorganize the breed registry that previously became inactive. 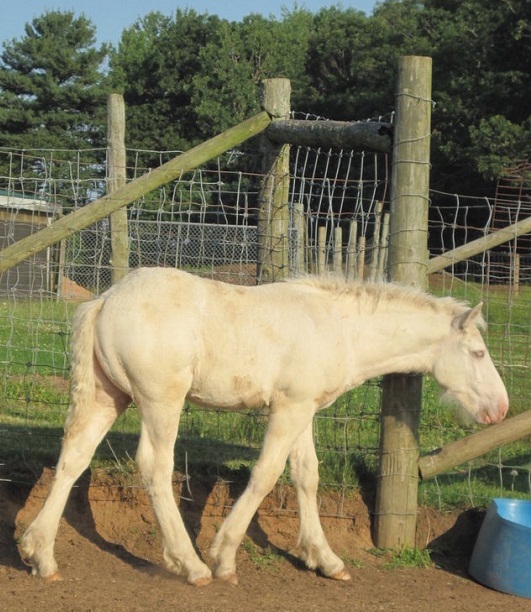 Although their numbers have increased, the population is still low with only 400 registered animals. 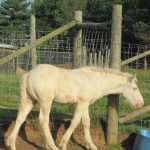 Their population is considered “critical” by both the Livestock Conservancy and the Equus Survival Trust. 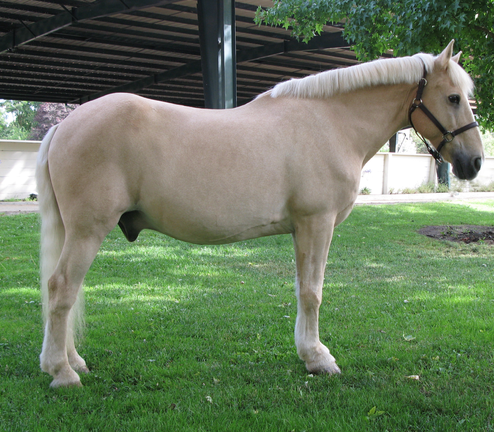 The champagne coloration of American Cream Draft’s coat is due to a change in the SLC36A1 gene.